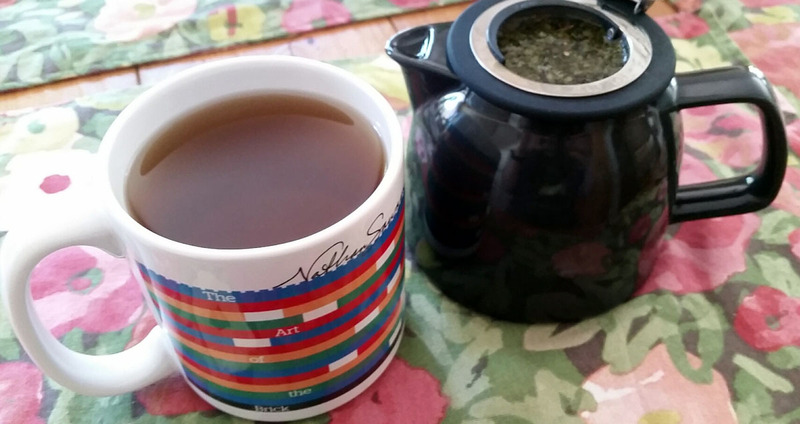 My pot of Lemon Balm Tea in my "The Art of the Brick" cup. Have you seen Nathan Sawaya's Lego Exhibit? It's amazing, don't miss it if you enjoy Legos and/or art! Sometimes I find it hard to focus and I have a couple of tricks which help me on days like this. I thought since I'm implementing them with success right now, I should share them with you, though I may have mentioned them previously. 1. Vivaldi! Oh my goodness, his music always puts me in a great mood and helps me crack the whip on finishing whatever project I've started. Any other Vivaldi lovers out there? My kids may have been caught laughing at me when they catch me directing the symphony or playing my air violin. More proof of my Acquired Italianism!!! 2. Lemon Balm tea. I make a pot of Lemon Balm tea with some Stevia thrown in and if anything has my mind stressing out...I find my shelter, my calm. I'm on my second cup now. 😀 I hope your day is going calmly, too!